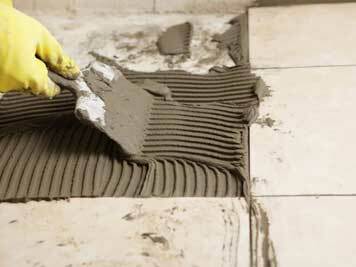 Want To Replace Old Tiles? A well-carried out tiling job can not only add value to your home but can also make rooms appear larger in size. That's why tiles are becoming an integral part of more and more kitchens, bathrooms and bedrooms, across the country. What's more, the ever-growing choice in styling and material of tiles make them one of the easiest ways to modify and beautify your home. Drywall Repair & Remodeling Simi Valley is here for all your tiling needs, whether you need to tile your worktop or lay tiles over the complete room drywall. We're here whether you're looking to utilize drywall, tiles, or a combination of both in your bathroom. Also, our consultants are ready to help you with whatever concerns and questions you may have regarding design, styling, and budget. When it comes to your bathroom walls, we can either install drywall or tiles, or even a combination of both. Here are the benefits of each material. • Tiles: These are easily maintained and great at keeping the moisture away which drastically reduces the risk of mold and mildew growth. Moreover, tiles are a great way of personalizing and modifying the design to match the exact vision you had of your bathroom decor. • Drywall: This option is easy to paint and modify if you want to upgrade it with hanging shelves, cabinets, mirrors, etc. However, this material is much more prone to mold and mildew and can get damaged more easily. Finally, it may be lacking the luxurious appeal with a nice set of tiles. Whatever your tile installation needs are, we are here to step in and do the heavy work for you. Turn to us with confidence knowing no tiling job is too small or big for us - our team of professionals is highly experienced, trained, and properly equipped to tackle even the most complicated of projects. Whenever you hire our team you can expect nothing short of beautiful results! Contact us today for more information!